As the weather cools we start to crave warmth. Thick fall sweaters, boots, and throw blankets emerge from closets and we have have a bowl of steaming hot soup with our midday sandwich instead of a cool salad. We also reach for a warm mug of Spiced Cider or soothing Tea. The Fall/Winter Season wouldn’t be the same if we didn’t have Hot Chocolate to keep us going on a cold night! That is what inspired these Bath Bomb ideas. Toss these into a nice steamy bath and relax in the fragrant warmth of your favorite drink. This is the Basic Bath Bomb Recipe we will be using for all of the different variations listed below. Adjustments to the recipe can be made, with care, to accommodate for differences in humidity and air temperature, which can play a big role in how well your Bath Bombs hold together. It is always best to test a small batch first to ensure the recipe works for you in your area. 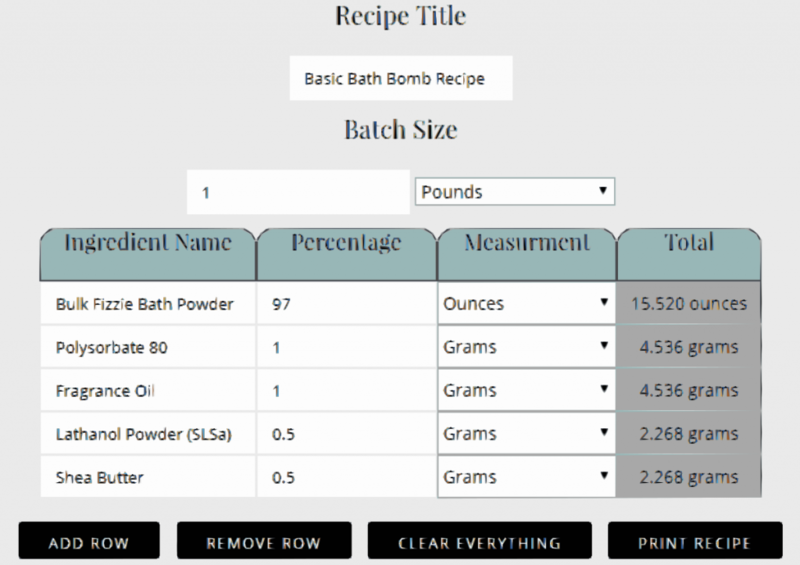 The variations will list any additional ingredients not included in the Basic Bath Bomb Recipe. Measure out the Bulk Fizzie Bath Powder and Lathanol into a large bowl and mix well until all lumps are gone. Add your choice of Colorant, Fragrance, Polysorbate 80 and Shea Butter. Mix again until lumps are gone. Spray the mixture with alcohol while mixing until the mixture holds when pressed. Please note, it helps to do this quickly so mixture does not dry while mixing, preventing the bath bombs from holding together. Press into desired molds or with a Bath Bomb press mold. Let them dry for 24 hours so they are sturdy and set. For this Bath Bomb I used our Hot Coco Fragrance Oil, however you can use whichever Hot Chocolate fragrance you like. 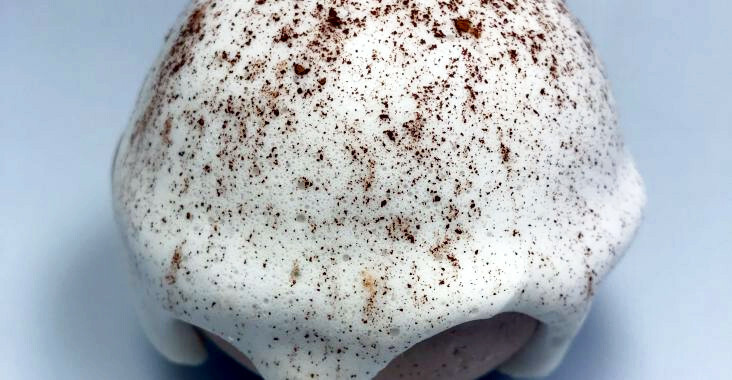 Feel like you are wrapped in chocolate cream with this Bath Bomb. The Shea Butter in the recipe leaves your skin feeling silky smooth. Add Caramel Colorant and Brown Iron Oxide to the recipe above. Also, for the “whipped cream and marshmallows”, you will need our White Melt & Pour Base. Make and set aside batch of Bath Bombs using your choices of Color and Fragrance. Melt 4 oz of White M&P Soap, add Fragrance, if desired, when soap is melted. Quickly pour into a flat mold and lit sit 10 minutes. While still warm, form little marshmallows and set aside. Remelt soap quickly and repeat step 3. Quickly drizzle soap over the prepared bath bomb and immediately apply the “marshmallows”. 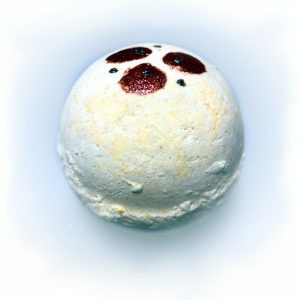 We made this Bath Bomb with relaxation in mind. Simply add our Chamomile Tea Fragrance Oil and make it yellow. This fizzer will make your customers feel like they are steeping in a giant cup of cozy chamomile tea. You can even wrap it in a cloth to make it seem like a tea bag. Adding chamomile flowers will surely add extra character to this bath bomb. 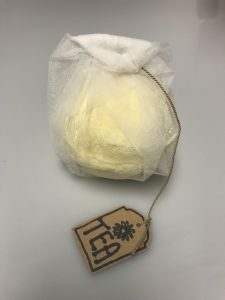 For this bath bomb you can also cut a regular tag into the shape of a teabag tag. If you use tea from a certain brand of tea, you can re-use the tag from the tea you used. For this theme, I used our rendition of Pumpkin Cranberry Cider for its hot cider essence. Simply use our bath bomb recipe and add orange or red colorants. We carry Pink Opal Mica if you want to add a hint of shimmer. For painting designs on bath bombs, use 1 part alcohol to 2 parts mica or glitter. Adjust the ratios accordingly. Depending on how heavily pigmented you want the solution to be. Then paint on the bath bomb with a soft paintbrush. I found using brushes for acrylic painting works the best. 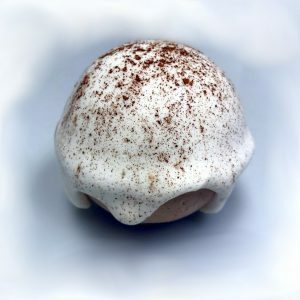 For this bath bomb I used our Chai Tea Latte fragrance oil, Because of it’s spicy and creamy notes. To get the latte foam look, do steps 2 and 3 listed for the hot chocolate variation. I sprinkled our Sienna Iron Oxide on the top to give the appearance of cinnamon. Feel free to run with these ideas or customize them with your favorite drinks.